As a dedicated Bugaboo owner and self confessed lover and obsessor of the brand, I am so excited to be able to report in on the newest coming in from Bugaboo in the few coming weeks. When I first saw the limited editions of the Banana prints a few months back on some cam's at a baby expo, I was just so envious - I adored the print dearly, my chance is finally here! My daughter is a huge 'nah-nah' lover (as she calls her banana's) so I know that both her and I will love to get our hands on the banana print! Sadly this is their last collection collaboration which makes me really sad, as I love seeing different designs on the bugs. Be sure you get your piece early, before they all go. As Bugaboo’s successful two-year collaboration with the Andy Warhol Foundation comes to a close, we launch our fourth and final collection - the Retrospective Collection. Paying homage to the legendary pop artist, the new and updated stroller accessories boast designs that span Warhol’s career, and reflect the mobility company’s commitment to innovation and style. We’re going out with a bang so you can go out in style. The Andy Warhol + Bugaboo Retrospective Collection featuring a sun canopy and matching tote bag, highlights both old and new prints from the iconic to the lesser known. As with our previous Warhol collaborations - the Happy Bugs, Cars & Flowers, So Many Stars and Banana collection - toting your child around town in Warhol’s own mobile work of art has never been more stylish and fun. The Andy Warhol + Bugaboo Retrospective Collection is designed to be fun while offering unparalleled flexibility in stroller design. Simply choose your stroller (the sun canopy fits all Bugaboo strollers), pick one of our four new prints (“Butterflies”, “Globetrotter”, “Marilyn Monroe” or “Banana”) and decide if you want the print on the inside or outside of the canopy (except with Marilyn Monroe, whose beauty deserves to be seen). Finally, choose your colour lining (except with the Banana print, where we’re convinced the black reverse side is simply spectacular). Your tote bag will match your selected print. For those already in possession of a Bugaboo stroller, the Retrospective Collection will add a little pizzazz to your statement stroller when you feel like mixing things up. For this celebrated Warhol design, we used the artist’s Marilyn Reversals (late 1970s to early 1980s), where Warhol used different colour variations on the reversed negatives of the star’s image from a publicity still from her 1953 film, Niagara.No Warhol collection would be complete without it, and this stroller proves that design is a girl’s best friend. 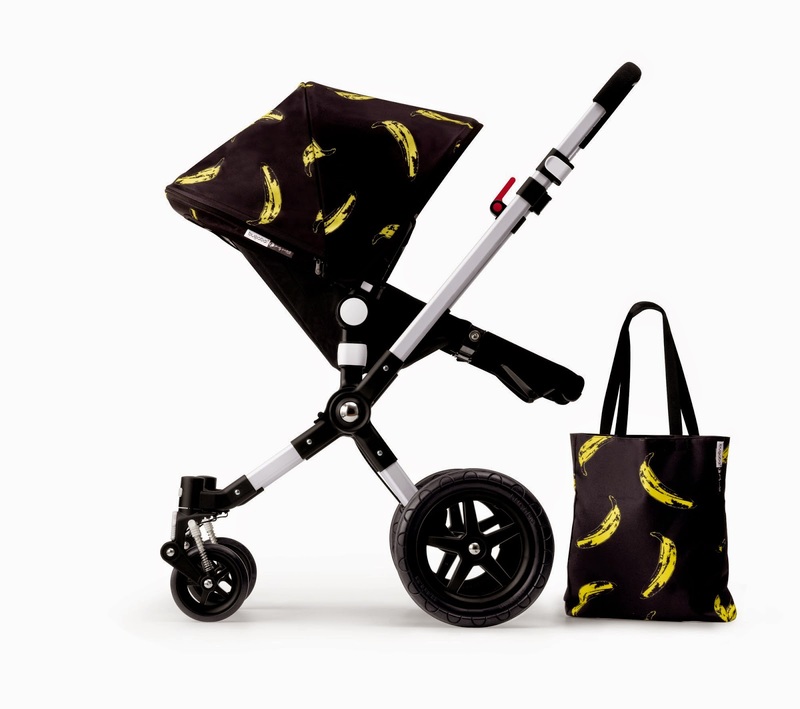 The Bugaboo + Andy Warhol Banana collection is inspired by Warhol’s 1966 print that gained notoriety when it was chosen as The Velvet Underground & Nico’s first album cover. In our first Banana collection, we featured the original iconic image set against a bright yellow base. This time, we’ve gone bananas and flipped the colour scheme: Warhol’s outspoken yellow bananas stand out against a stark black backdrop. 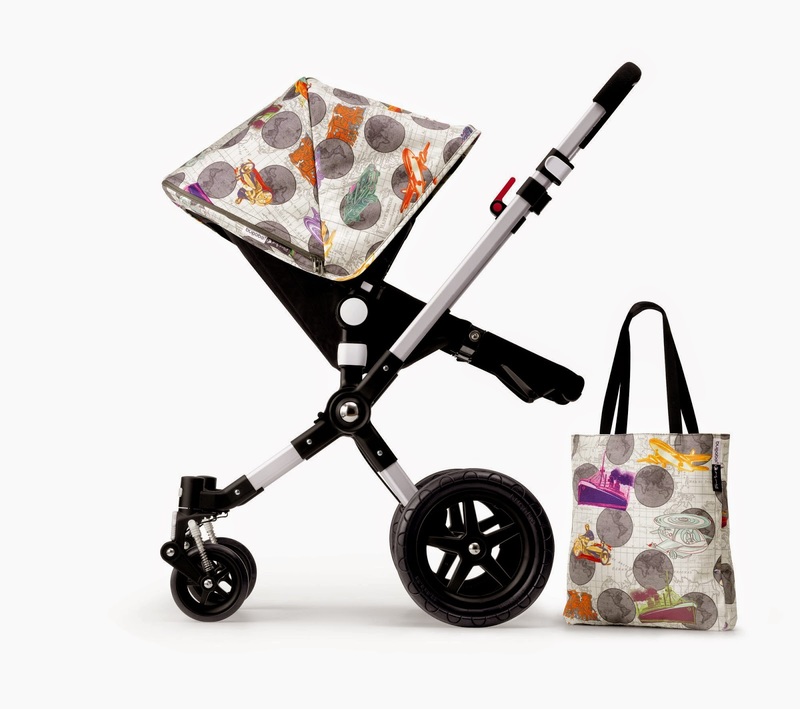 The Andy Warhol + Bugaboo Retrospective Collection is available exclusively from November 2014 from the following selected retailers: Baby Kingdom, David Jones, Minimee and Baby Village. Each retailer will have a select number of prints. All prints are available online from December 2014, so please check www.bugaboo.com to order. Each print will retail at $209.95, including the tote bag.